This month’s exercise is the FitBall Leg Curl. This exercise focuses on the hamstrings, but also involves the glutes, low-back, and spinal extensor muscles. Begin by lying flat on your back with your legs straight. Position the center of the FitBall underneath your heels. Lift the hips up by contracting your glutes and low-back. You should form a straight line from your shoulders to the feet. Arms can be parallel at your sides or out perpendicular (like a “T”) for better balance. This is the start and finish position. 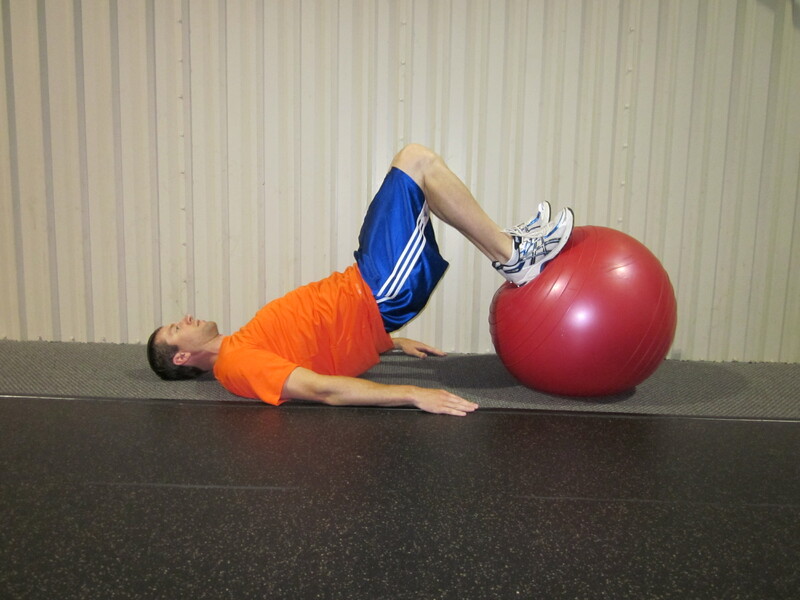 Slowly roll the FitBall toward yourself using your hamstrings while maintaining the bridge position. Do not let your hips drop during the exercise. Keep the movement controlled as you roll the ball back to the start position. The slower you go, the more difficult the exercise. An advanced move is to perform this exercise with a single leg. 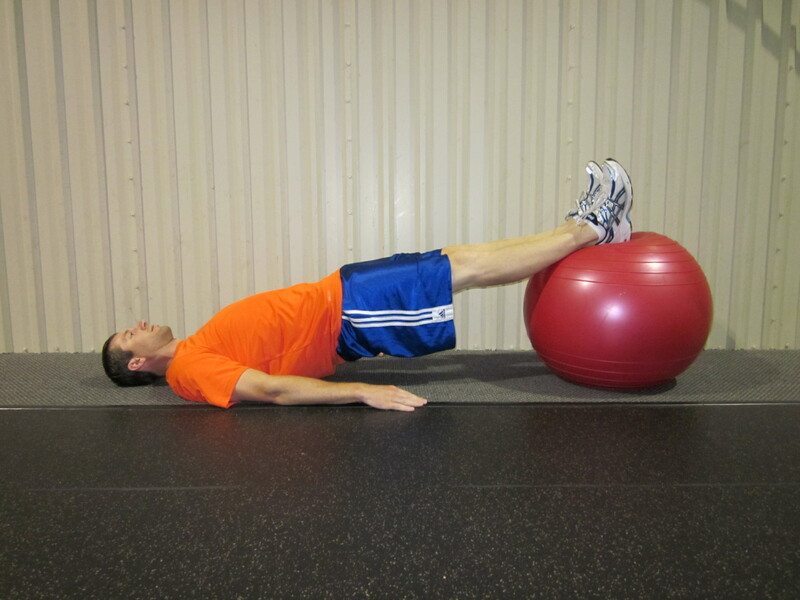 From the bridge position, lift one foot off the FitBall a few inches while the other leg does all the work! This simple maneuver takes much more effort and focus. You will appreciate how much balance is required even though you are lying down! I hope you are keeping up with your exercise routine going into the holiday season, will make it a lot easier to justify eating your way through Thanksgiving! Have a good one.